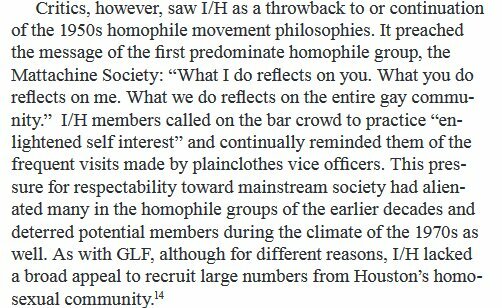 group, but by 1973 (in a Houston Post article) had taken on the Integrity name. But it was not a religious group. 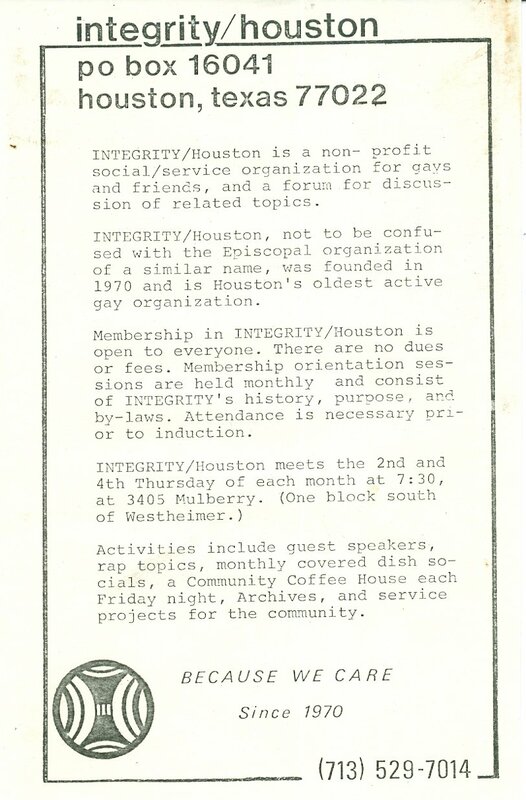 of 1981 the non-religious group finally had enough, and changed its name to Interact Houston. finally run its course, with the last incarnation being an over-40s social group. to find other gay people. It is hard to convey how difficult it was in a pre-internet world to find each other. 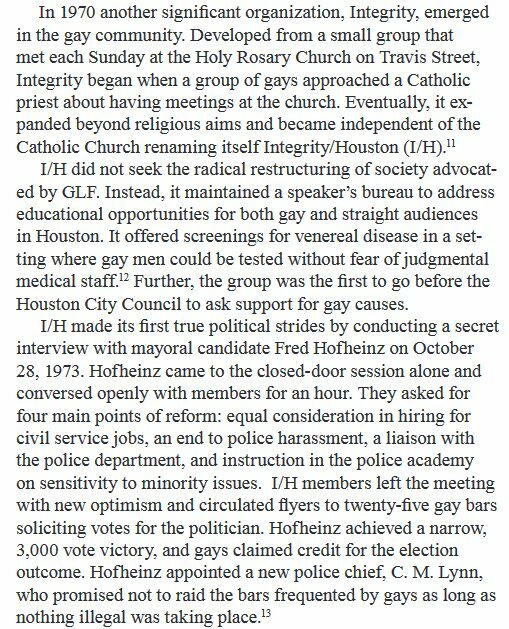 at meetings talking about gay history and social issues. 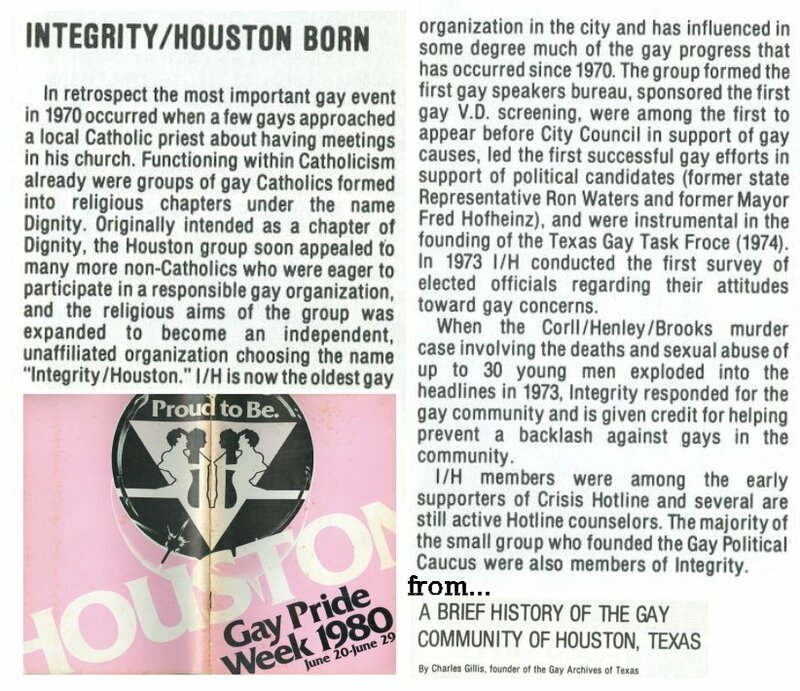 forgotten in Houston's gay community. home a large box of these files so they could be studied and digitized.